About - Binna Burra Lodge . These two pioneering conservationists shared a vision to create a place where people could stay and experience the beauty of the Lamington National Park rainforest. Through interpretive walks and educational programs, they believed more people would become committed to preserving this natural wilderness for future generations. In the early 1930s, they purchased the last freehold title on the boundary of Lamington National Park and formed a public company to fund the establishment of what was to become Binna Burra Mountain Lodge. The first Binna Burra camp was held over the Christmas holidays in 1933. Romeo, Arthur and 70 hardy adventurers set up a collection of tents on the "saddle" where the Senses Trail now starts. For five shillings a day, they were provided with accommodation, meals and guided walks through the rainforest. Despite cyclonic storms which ripped through the mountains from Boxing Day until New Year, the camp was declared a success and the decision was made to build permanent cabins on the property. An old Canungra boarding house was dismantled and brought up to Binna Burra by packhorse, to serve as the dining and recreation room. For the cabins, tallow-wood slabs and stringy-bark shingles were hewn from the local timber. By Easter 1934, the first hut was nearly finished and, by 1939, Binna Burra Mountain Lodge could accommodate 54 guests. The road was extended in 1947 to eliminate that last 400m trek and a network of walking tracks provided easier access to the rainforest wilderness. The very first track built was to Bellbird Lookout. Binna Burra quickly became a popular destination with keen bushwalkers of all ages. It also attracted a number of scientists studying the flora and fauna of this living laboratory. Guided, interpretive bushwalks were a feature of the Binna Burra experience even from the earliest days. After his initial contribution towards construction and track building, Romeo Lahey remained as a director of the company, on and off, until 1960. As resident manager, Arthur Groom lived on site. He and his wife Marjorie and their three sons, Donn, Tony and Richard, lived in the cabin which is now used as the LNHA Environmental Study Centre. During the late 60s and early 70s, the Lodge was improved and extended using mostly volunteer labour. The 'Friends of Binna Burra' (FOBBs) have continued to make a significant contribution over the ensuing years. Another innovation was the introduction of 'Vacation Schools'. These included the Wildlife Preservation Society Spring School in 1968, the Creative Arts and Photographic Schools in 1969, and Greenfingers' Week in 1970. The Lodge still hosts a regular program of these Special Interest Events every year. Binna Burra's Board and staff are fully committed to implementing and demonstrating effective sustainable management. 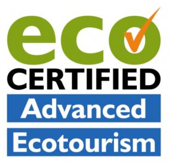 We have been doing this since the company was first formed in the 1930's, and over the past 20 years, we have pioneered many practices which are now part of international sustainable tourism guidelines. As an example, by designing and adopting site-specific best practice procedures as detailed in the Lodge's Environmental Management Plan (EMP), Binna Burra has dramatically reduced its environmental impacts and has also benefited financially from the reductions in energy usage. This effort was so significant that Binna Burra Mountain Lodge first earned Green Globe Certification in 2001. In doing so, Binna Burra was also the first private company in Australasia to achieve certification under the international Green Globe standards for sustainable tourism practices. Prior to and since its certification, Binna Burra had been recognised by a variety of environmental, ecotourism and tourism organisations. In 2018 during the annual conference of Ecotourism Australia held in Townsville, Binna Burra was one of a handful of Australian tourism enterprises recognised for 20 consecutive years of maintaining it’s ecotourism certification. Binna Burra Lodge Ltd has committed to benchmarking its energy and water consumption, total waste production and community commitment; along with implementing an integrated environmental and social policy. Binna Burra’s long term commitment to sustainable tourism approaches has also been recognised in 2019 as being the host of the first 3 day training program in Australia being delivered by the Global Sustainable Tourism Council (GSTC). 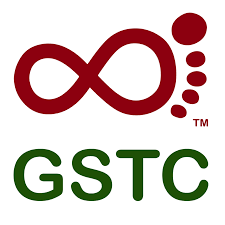 The GSTC establishes and manages global sustainable standards, known as the GSTC Criteria. These are the guiding principles and minimum international requirements that any tourism business or destination should aspire to reach in order to protect and sustain the world’s natural and cultural resources, while ensuring tourism meets its potential as a tool for conservation and poverty alleviation. "Binna Burra Lodge has had what we now call a sustainable approach to tourism since its inception in 1933 when the concept of national parks was still new around the world. Nowadays we also have the framework of world heritage values. This results in Binna Burra Lodge sharing responsibility for conservation of our cultural and natural heritage through sustainable tourism management." A statement of information and policy endorsed by the Board of Directors, Binna Burra Lodge Limited, 18 December 2017. As a business that operates within a World Heritage designated natural environment, Binna Burra Lodge Limited’s vision ‘To be a meaningful connection to nature and heritage’ is delivered with the identification, protection, conservation, presentation and transmission to future generations of the cultural and natural heritage of our location. We acknowledge and respect that the land upon which Binna Burra is located was used by traditional ‘first nations’ people of this mountain area. Friends of Binna Burra (FOBBs) is a group of volunteers whose activities help maintain the unique natural environment that surrounds Binna Burra. FOBBs was founded in 1984 by a group of like-minded people who shared a love of nature and the bush and were interested in preserving and maintaining the special beauty that is Binna Burra. Over the years this has evolved to also include an interest in the buildings and history of this World Heritage Listed site. FOBBs meets four times a year at Binna Burra for a weekend of work and friendship. They also keep in touch with a mid-year social lunch and a regular newsletter emailed to members and supporters. Your membership or financial support will help sustain the vision by: encouraging people of all ages to become involved; gifting to others an enduring love of nature; plant propagation and tree planting; removal of bushland weeds; stabilisation of ground to prevent erosion; Lodge track maintenance; enabling the purchase of tools and safety equipment; and undertaking other projects developed with the Lodge management and staff. LIVE TOO FAR AWAY? NO TIME TO BE ACTIVELY INVOLVED? Interested? Like more information? See the membership and donation form, or read on. What does a FOBBs weekend entail? Most of the group arrives Friday afternoon or evening. A few elect to come earlier and fit in a Friday walk. Members choose from the range of accommodation at Binna Burra. For a nominal fee, shared accommodation is available to FOBBs in Grooms Cottage and its Bunkhouse. For this you will need to provide linen/sleeping bag and book with FOBBs prior to the weekend. On-site tents, caravan sites, tent sites and Binna Burra Lodge are alternatives; bookings for these are through the Lodge and are essential. Meals other than Saturday dinner and Sunday breakfast are self-catered; Grooms Cottage kitchen is available and meals can be bought at the Lodge or Teahouse. On Saturday, FOBBs gathers about 8 am at Grooms Cottage, where the activities for the day are posted. These can include weeding, planting, clearing paths, cutting lantana or generally cleaning around the Binna Burra environment. Painting and general maintenance work are occasionally scheduled; sewing projects and work around the children’s playground are regular items. Everyone chooses their own niche, works at their own pace, and there is always plenty of laughter involved. On Saturday evening FOBBs regroups for a reasonably priced meal. Each person/couple usually brings something for the meal and an item to be raffled. The raffles raise money for new equipment for FOBBs use or for projects. Sunday breakfast is provided free of charge by the Lodge. Sometimes this is followed by a group bushwalk for those interested; others enjoy a leisurely breakfast then leave for home.